Nancy Mayans has been on the Faculty of the William Esper Studio in New York City since 1990. She has also taught in many other wonderful acting programs, including NYU, Columbia, Rutgers, Carnegie-Mellon, and the Yale School of Drama. 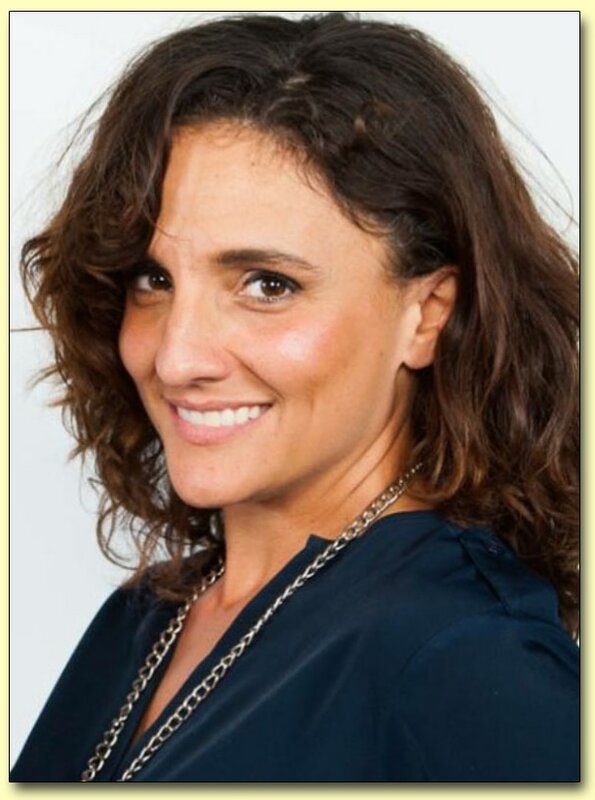 She has been an acting and speech coach for television shows on MTV, HBO, and PBS and has had numerous clients in feature films, television and on Broadway. Backstage readers have voted her runner up for Favorite Acting Coach in New York City. She also won Favorite Vocal/Singing Coach four years in a row. She holds a B.A. in Drama from Stanford University (Phi Beta Kappa) and an MFA in Acting from the Yale School of Drama. 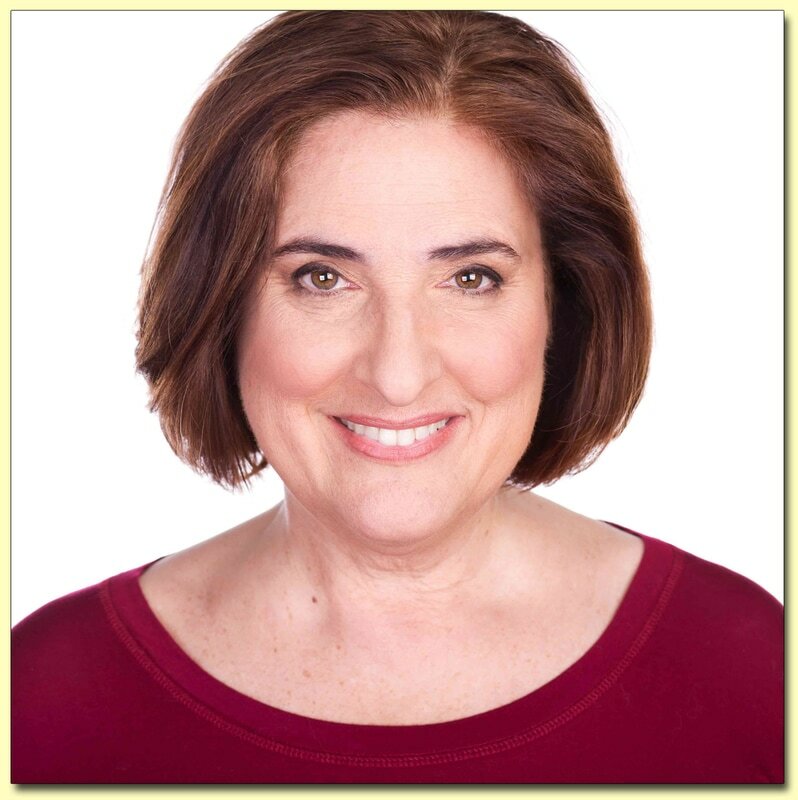 Nancy maintains a private coaching practice and currently teaches The Unlimited Actor workshops in Los Angeles and New York City. 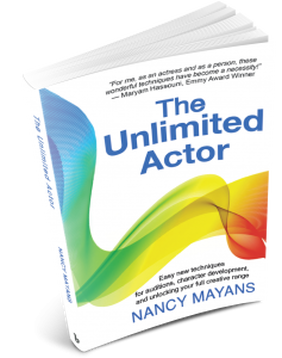 The Unlimited Actor, available now at Amazon, Barnes and Noble and Balboa Press. 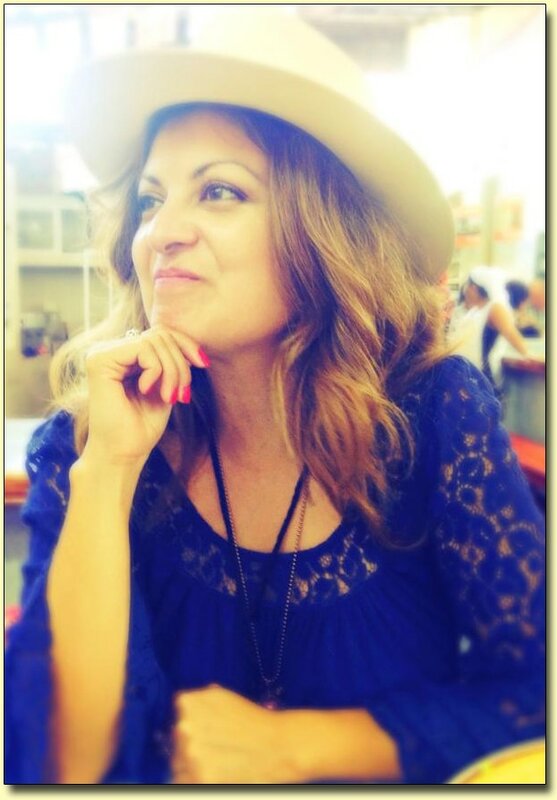 Patricia Chica is a multiple award-winning director and producer with over 40 international awards. She also has more than 50 hours of primetime broadcast content under her belt, filming for networks such as National Geographic, Discovery, MTV, Travel Channel, Bravo and Oxygen. As reported in the documentary "Let it Out!" (2013), Patricia Chica incorporates energy work within her creative process as a tool to empower her actors, collaborators and even herself. She uses energy and meditation in order to bring her actors to a higher level of consciousness and awareness that will allow them to connect, in a more profound way, with their characters. Schantelle Cason received her MFA in acting from Rutgers Mason Gross School of the Arts under the tutelage of Willam Esper and Maggie Flanigan. She's a native Texan & proud graduate from Booker T. Washington School for the Performing & Visual Arts in Dallas. Theatre credits include work at Virginia Stage Company, Crossroads Theatre, Cleveland Play House, and Capitol Repertory Theatre. She performed in the award winning, Off Broadway production of The Exonerated and has been in countless national commercials & voice overs for TV and radio. 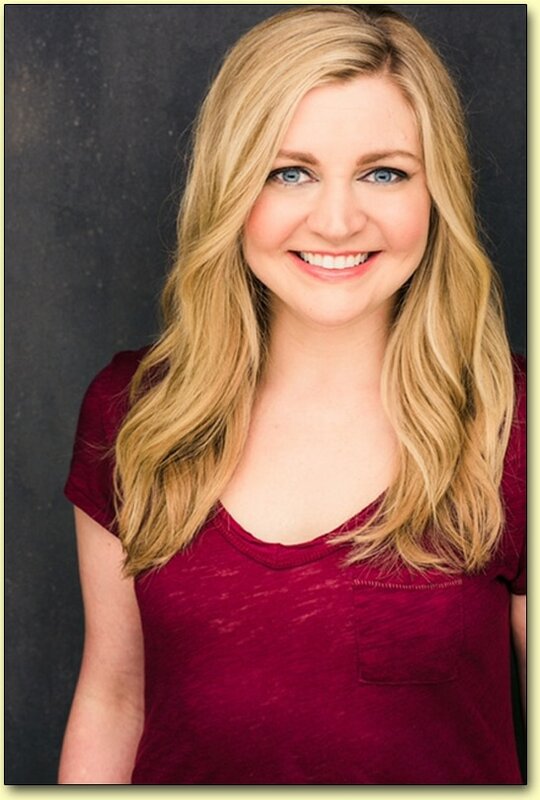 TV credits: Lincoln Heights, The Minor Accomplishments of Jackie Woodman, Strong Medicine, All My Children & OLTL. Teaching credits: DreamYard Drama Project, Harlem School of the Arts-NY & Howard University Children’s Theatre-DC. 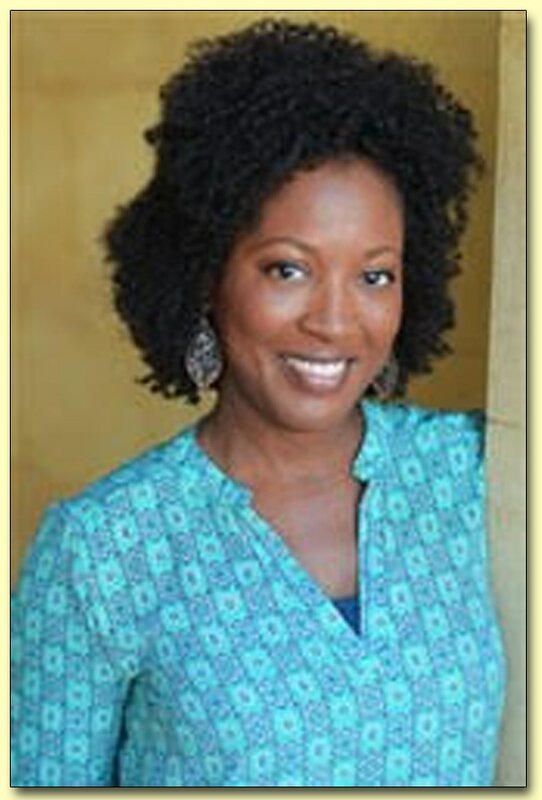 She enjoys Afrofunk dance, cooking with her tween & creating a safe place for actors to unleash their authentic self . . . bravely . . . boldly and unapologetically. 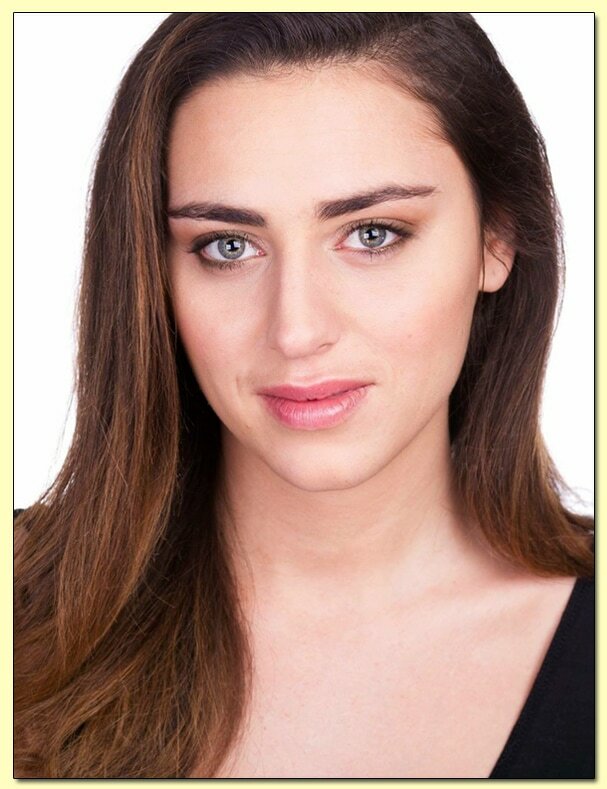 Nicole is an LA-based, Meisner-trained alum of the two-year William Esper Studio in NYC. Nicole began performing professionally at the age of 7 at the Metropolitan Opera. 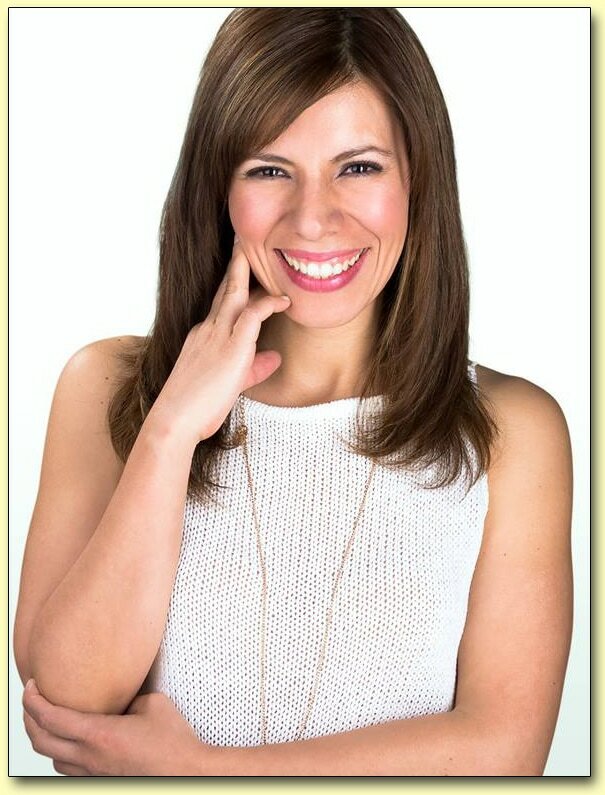 Nicole is the producer and co-creator of the web series Tarantella. It is with immense pride and gratitude that Nicole shares her extraordinary mentor's work with you! I was introduced to Nancy when I started studying acting. I fell in love with the technique she taught and how she went about teaching it. As an artist it's very clear to me that not all people take in information and learn things the same way. The Unlimited Actor technique gives each student as well as the teacher unlimited freedom in exploring each character to its full potential, and I am thrilled to be able to help others learn the technique! Film credits include: Birdman, It's Complicated, Beware the Gonzo. Television: How to Get Away with Murder, Flight of the Concords, Scorned: Love Kills. Carrie Daniel has been dancing since she could walk and has enjoyed her work and training as a professional actor, singer, dancer and teacher in many corners of the world. She is a graduate of the University of Oxford, where she was a member of the Oxford University Dramatic Society. Carrie loves, applies, and wholly believes in the Unlimited Actor method. 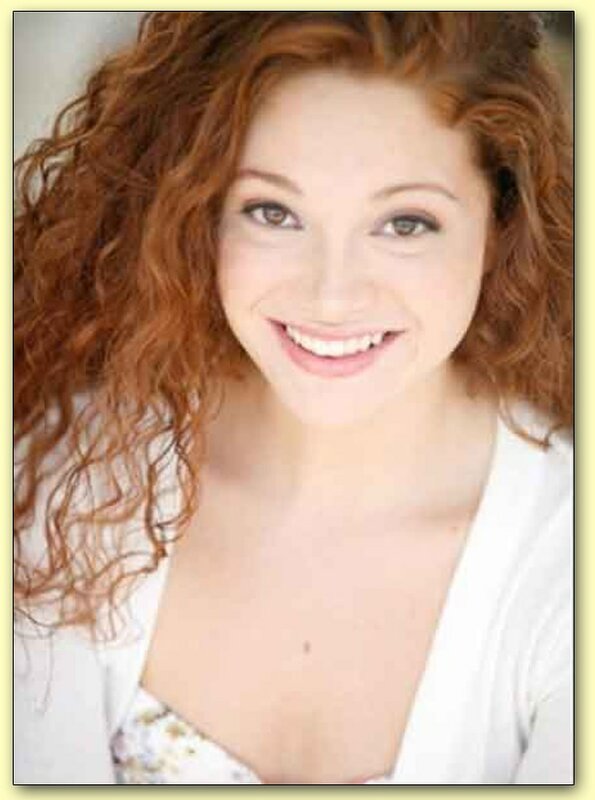 She utilizes a lot of movement and dance work in both her private and group classes. She elevates her students, guiding and encouraging them to reach uninhibited states of play and creativity. Shareen Swainson is an English actress based in London. She has studied intensively with the director of the London Group Theatre, one of the final teachers Sanford Meisner authorized to teach. During performances she began having erratically profound transformations that went beyond her training, where the characters she played seemed to suddenly and fully embody. It wasn't until she worked with Nancy Mayans that she was able to understand why this happened and to how to practice this exciting new level of transformation as a reliable additional method. 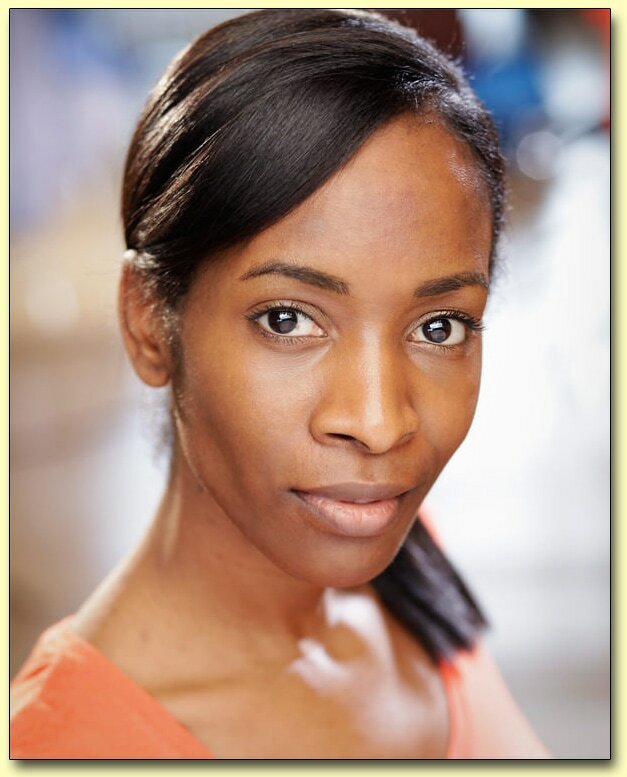 Shareen is grateful to now be the first certified teacher of The Unlimited Actor in the United Kingdom, with plans to take it to other countries across Europe. Credits include being the face of "Forge" (the exhibition which explored emotions), acting in the TV drama "Jekyll and Hyde" and in a number of Feature Films including "The Hike" as well as a lead in "Waves", winner of the Best International Film at the The World Film Festival. Fue conductora del programa Entrelíneas TV de Canal 22 durante 2 años y, como actriz ha participado en la telenovela La impostora realizada por Argos para Telemundo, así como en varios episodios de Lo que callamos las mujeres para TV Azteca.Como actriz, ha sido dirigida por: Alberto Estrella, Víctor Carpinteiro y Gema Aparicio. Ha estudiado con maestros como: Luis Mandoki, Eduardo Arroyuelo, Karina Gidi, y Guillermo Arriaga, entre muchos otros. Cofundó el Centro Cultural Pedro López Elías en Tepoztlán, Morelos, primera biblioteca sustentable de México, así como la primera de un profesionista independiente que se incorpora a la Red Nacional de Bibliotecas Públicas de Conaculta.Ha publicado 6 libros en coautoría sobre Literatura e Historia. Además, es colaboradora del best-seller Success from the heart, una colección de 35 historias inspiradoras de gente de todo el mundo. Fue la única mexicana incluida en el proyecto. Es la única latina certificada como maestra Nivel 2 en el Método "The unlimited actor" con Nancy Mayans en EUA. Es para ella un honor dar a conocer este método tan poderoso y transformador, en México. I was introduced to Nancy when I studied acting at the William Esper Studio in New York City. Eventually I joined her Energy class, "The Unlimited Actor." It was the first time I felt really connected to myself and to my emotions, and felt my prior work integrate. Acting became organic. Not only does Nancy's technique give you unlimited freedom as an actress, but it helps you in everyday life as well. I live in Tel Aviv and am excited to share the Mayans Method with actors, writers, directors, dancers, and musicians--any artist looking for more freedom, range, and integration in their work.